But if your journey is truly unavoidable, check out our wintry weather tips. Oh, the weather outside is frightful indeed. From the amount of grip to the sensitive steering, pretty much everything changes when driving in icy conditions. Ironically, the season where you want to get out and about to visit family and friends the most, driving conditions are at their worst! 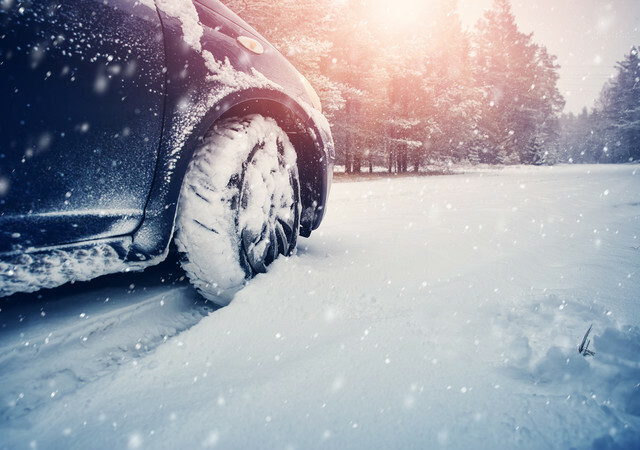 Over the years, it seems that drivers are becoming increasingly less prepared to deal with such circumstances, despite the fact that cars are now equipped with systems and technology to deal with icy or snowy roads more than ever before. Often it's best not to drive at all, but if your journey is completely necessary, here are some helpful tips on how to prepare your car for the UK's windy, icy and wet driving conditions. Rule #1 – always keep your car stocked with emergency essentials; pack some food, a hot drink, a blanket, things to keep the children entertained, and items in case of breakdown such as a hi-vis jacket, warning triangle and a phone charger. You never know when a situation (on or off-road) may arise, where you could be stuck on the side of the road. These essentials are not to be forgotten about, and will be a godsend in case of an emergency. Rule #2 – never underestimate the power of ice, especially black ice. Black ice is dangerous as it's hard to detect, giving the illusion of a clear road surface. If you do hit black ice, avoid overreacting – do the bare minimum and let your car pass over the sheet of ice. Driving too fast, braking too hard and steering too harshly in the opposite direction will cause you to skid or spin. To avoid such issues, always remember to keep a safe distance behind the vehicle in front – the Highway Code recommend that you allow ten times the usual gap in wintry weather. Rule #3 – don't warm the car up for too long, or try to unfreeze the windscreen with boiling water. We all know getting inside a freezing car with a long journey ahead is a horrible thought, but did you know that it can actually damage your engine? Engines aren't designed to be idle for extended periods of time, so drive around the block a few times instead to get the heat through. Similarly, pouring boiling water onto your windscreen can actually cause it to crack. The temperature difference between the frozen glass and boiling water is too much, so be sure to invest in some good antifreeze or de-icer instead. Rule #4 – plan your route. You don't want to be late for Christmas dinner at the grandparents' house, so be sure to plan accordingly. Whilst dinner is being served, last thing you want to be doing is sat bumper to bumper. Road closures and delays are often experienced during wintry weather, as speed limits are lowered for safety. Leave early and drive safe, you'll be at the dinner table in no time! If you're 'Driving Home For Christmas', get a good playlist on, fill the car with your loved ones, be safe on the road, and you'll have a very jolly holiday indeed.